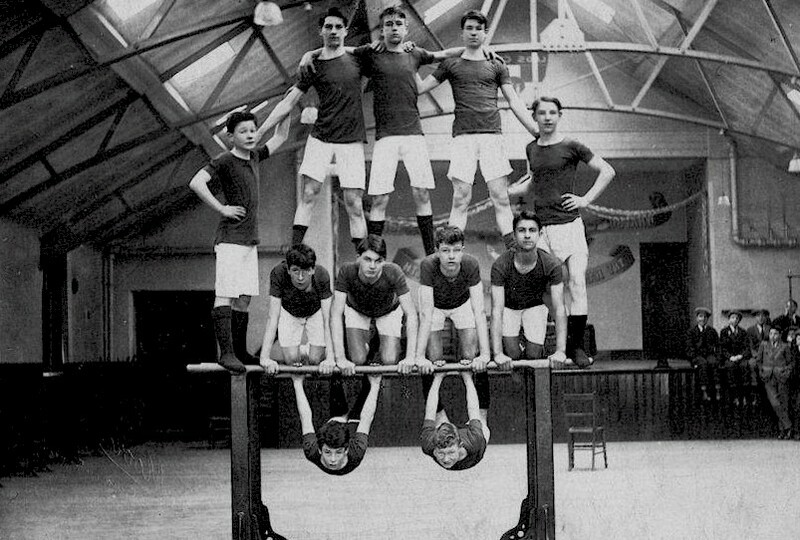 Although this photograph of a gymnastic team is undated, we have estimated it to be from about 1923 based on the apparent age of Jack Meakin who is on the left. He joined in 1920, aged 12, and appears here to have been about 15. Thanks to Janet Carr and Jenny Tudbury, daughters of Jack & Ethel Meakin, for providing the photograph. Suggestions for other names would be very welcome. Gymnastics was a feature of Boys' Brigade training in Beeston from the start. The photograph below appeared as a postcard dated 1915 (and used by Stephen Hetley Pearson to send Christmas greetings in that year). 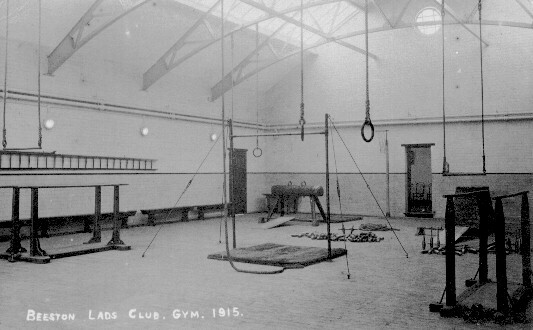 It shows clealy the range of apparatus available to the boys in the then extended Lads' Club building on Station Road, Beeston. Thanks to David Gunther for providing this postcard.